Silicate Primer by SecilTEK is specially formulated as a base coat for SecilTek Silicate Paint. Alternatively, use as a stabilising primer for friable surfaces. Use Silicate Primer as a base coat for long-lasting paintwork on masonry walls. 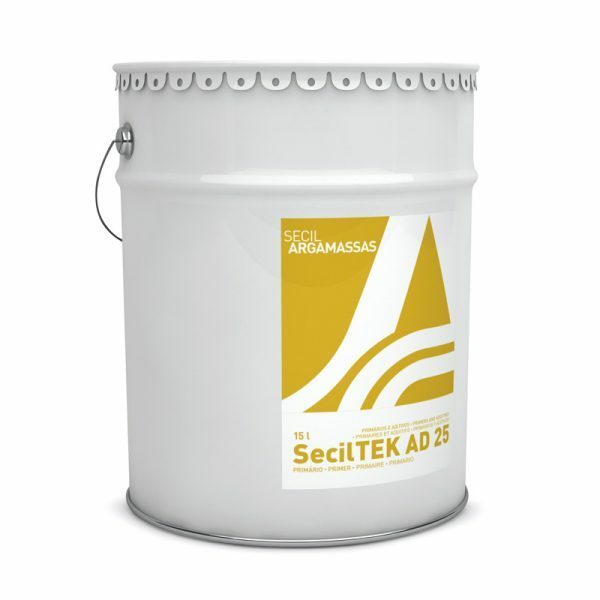 Apply one coat of SecilTek Silicate Primer and two coats of SecilTEK Silicate Masonry Paint. Dries in hours (though we advise no more than one coat per day). Use internally or externally on a wide range of mineral surfaces including lime render and cement render, gypsum plaster, stone and brick. It is also ideal for problematic areas such as damp basements. Silicate masonry paints were designed at the behest of King Ludwig I of Bavaria in the last 18th Century. Ludwig commissioned a paint that looked and worked like limewash but was more durable in the harsh winter climate. The small pore size of silicate paints still allows high water vapour permeability, while at the same time do not allow the larger rainwater molecules to penetrate. There are instances in Germany of silicate paints lasting 100 years! Like limewash, silicate paint soaks into the mineral substrate. In addition to this, the potassium silicate (water glass) reacts chemically to form a microcrystaline bond – a process known as silicification. SecilTek Silicate Primer is available in 2.5 litre and 15 litre sizes. The coverage is approximately 4-8 m²/litre per coat, depending on the surface finish and porosity. (*Note: Please contact our Technical Sales Team for advice when considering the use of SecilTEK Silicate Masonry Primer and Paint over modern masonry paints). This refers to the resistance shown by the equivalent thickness of air. Therefore the lower the Sd value the better the breathability. Paints with Sd values less than 0.1 m are considered to be highly breathable. Coverage = 4-8 m²/litre per coat (depending on surface finish and porosity). Touch dry in 3 hours . Easy to apply with standard brush or roller.